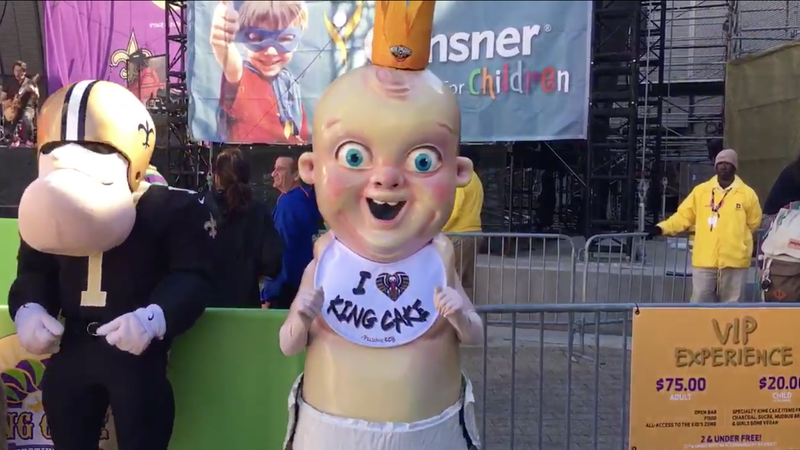 New Orleans’s favorite nightmare demon infant is out roaming the streets once again—that’s right, the King Cake Baby is at the city’s annual King Cake Fest today. The event sounds like a lovely gathering, full of delicious cake and opportunities to donate to a local children’s hospital. Unfortunately, the sickest “baby” of them all is in attendance, parading around with its tiny crown atop its monster head, grotesque eyes wide and mouth agape as always. Someone please bake this “baby” in a cake and leave it there.